The book by Acharya Sadananda which was published in July is available free in Amazon Kindle format on Oct 13th, 14th and 15th (3 days only). An opportunity not to be missed! Just to announce that the book by Acharya Sadananda which was published last month will be available free in Amazon Kindle format on Aug 16 – 17th (2 days only). An opportunity not to be missed! Bad news: Some readers may have noticed that the series ‘Introduction to Vedanta’ by Dr. K. Sadananda disappeared from my website a few days ago. Good news: The series has now been published by Sethu R Rathinam in a quality, 218 page paperback and as an E-book on Amazon Kindle. 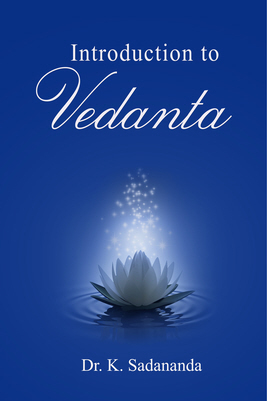 ‘An Introduction to Vedanta’ was originally serialized on the Advaitin discussion group where it was justifiably well-received. As they say in the advertising media: ‘it does what it says on the box.’ It covers all of the material needed to introduce the subject to a new seeker, clarifying aspects that could otherwise prove difficult or even dampen enthusiasm. He never talks down to his listeners but speaks directly to them using everyday examples that resonate immediately. No doubt he benefits from having been taught directly by Swami Chinmayananda and more recently by many other teachers including Swami Tejomayananda and Swami Paramarthananda, but his scientific background also brings naturally clear reasoning ability to his analysis of the subject with the result that he seems able to explain the most difficult topics. Anyone looking for an overview of the essential teaching of Advaita could not do better than to read this Introduction. And I consider myself fully qualified to recommend the book since I editied it myself! Perception. The object being covered must be directly perceivable, as is the rope in the rope-snake example. 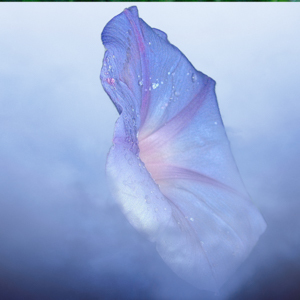 The Atman is not an object and cannot be perceived. Incompletely known. The object must be incompletely known, as one is ignorant of the fact that the rope is a rope. In the case of the Atman , however, the advaitin accepts that the Atman is self-evident and always conscious – how can there be ignorance with regard to something that is self-evident? Similarity. There must be some similarity between the actual object and its superimposition, just as a rope and snake have a basic similarity (one could not mistake the rope for an elephant, for example). But there is total dissimilarity between the Atman and anything else. E.g. Atma is the subject, anAtma is the object; Atma is conscious and all pervading, anAtma is inert and limited etc. Prior experience. In order to make the mistake, we must have had prior experience of that which is superimposed. We could not see a snake where the rope is unless we knew what a real snake was. Whilst this is possible in the case of the rope-snake, it is not possible in the Atma–anAtma case because we would have to have prior experience of a ‘real’ anAtma and it is part of the fundamental teaching of advaita that there is no such thing; there is only the Atman. Before inference can occur, there needs to be some valid data which is itself gathered directly or indirectly through direct perception. Otherwise, the inference could only be a speculation or imagination. For example one could not infer the age of the Moon just by looking at it and estimating it. Data must be collected first e.g. rocks could be brought back and carbon dated. adhyAsa is possibly the most important concept in Advaita – certainly in Advaita as ‘formulated’ by Shankara, since he wrote an extended introduction to his commentary on the Brahmasutras on this topic. I wrote this article originally for Advaita Vision but (as far as I know) it is no longer available at that site so I am reproducing it here. It will be in 4 or 5 parts. These notes are essentially a rewording, omitting most of the Sanskrit, of the notes provided by Achacrya Sadananda on the Advaitin List and I gratefully acknowledge his permission for this. In turn, he wishes that I acknowledge his own indebtedness to H.H. Swami Paramarthananda of Madras, himself a student of Swami Chinmayananda and Swami Dayananda. His lectures form the basis of these notes. Q. 393 – Idealism or Realism? But in addition to the talk of all things being total illusion, I will also hear that Advaita is realist – that the universe is not a hallucination; that it is, in one sense, “actually there”; and that it is in comparison to the changeless paramarthika viewpoint that vyavahara is “unreal”. This position makes much more sense to me than imagining the universe to be some sort of magic trick.